Ahmad was formally placed under arrest yesterday as part of investigations into militancy-related violence in south Kashmir, police sources said. 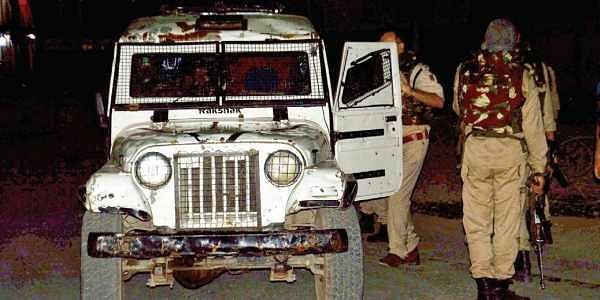 SRINAGAR: A policeman serving as a PDP MLA's driver has been arrested in connection with investigations into the terror attack on Amarnath pilgrims this week, police sources said today. Touseef Ahmad, a policeman from the security wing of Jammu and Kashmir Police and Wachhi legislator Aijaz Ahmad Mir's driver, was detained for questioning two days ago. Wachhi is in Shopian district of south Kashmir. A police official, on the condition of anonymity, said things are expected to be clearer about the involvement of the driver in the July 10 attack and other militancy-related activities later today.